I have a different kind of product to share with you today. When I received the Dear Rus - Character Print transfer kit to review I wasn't sure what to think. Would I like it? Would it work as promised? Would it be complicated? Well I have all those answers for you. 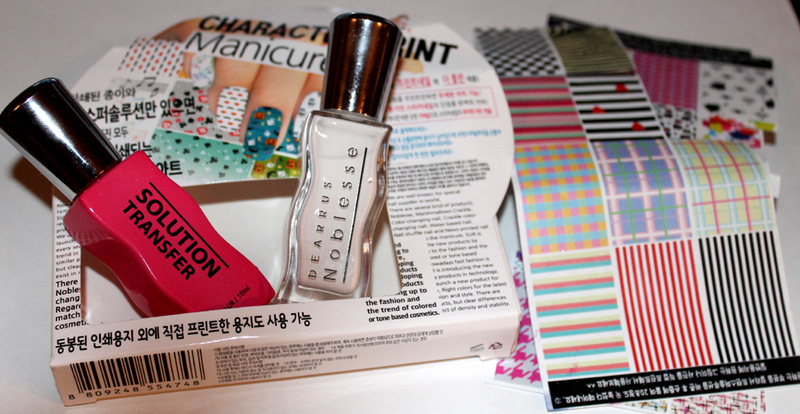 The set comes with a white polish, transfer solution and three sheets of transfers - each with 12 designs on them. The kit I received was a tester kit so a few of the designs were missing. So there isn't enough to do each nail with the same look. 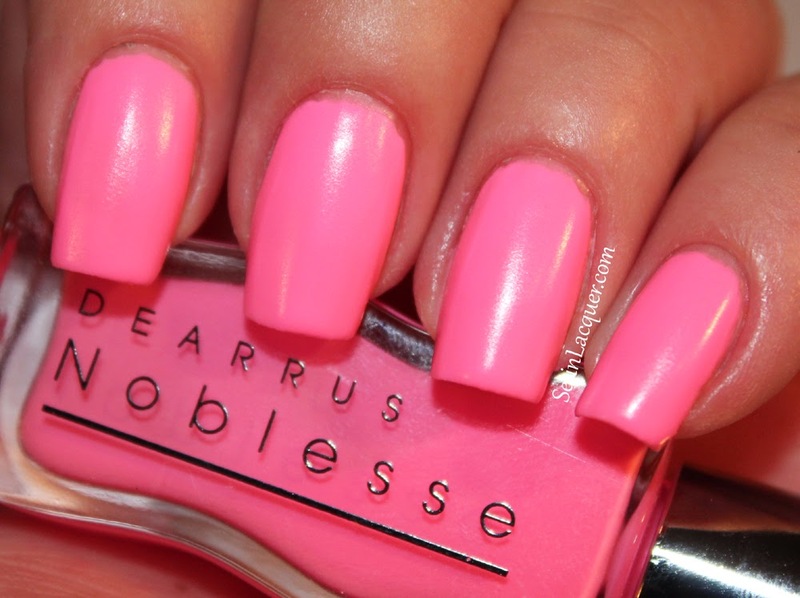 But it is perfect for an accent nail. The process itself was quite easy. I watched a video on the Dear Rus FaceBook page so it helped me a little. There was just one tip that I didn't see that would have really helped the finished look. But I will get to that in a minute. Start off with a coat of the white polish. You can use any color you want, but the white is recommended for optimum results. Make sure the polish is completely dry before you move onto the next step. I added a coat of Seche Vite topcoat before I started the next step. Decide which design you want to use and carefully cut that square out. Brush a coat of the transfer solution on the piece of paper - not on your nail. Don't be shy with it... brush a generous amount on the transfer sheet. 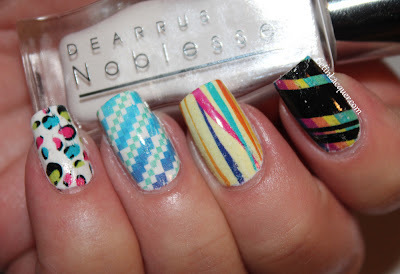 Then place the transfer on your nail with the design side down and press firmly. Press that slip of paper down for about 15 to 20 seconds and make sure to apply pressure to all parts of your nail. (The video shows this part really well.) And when I say apply pressure I mean to really press down. Peel the sheet off of your nail. It's going to look like a hot mess because it leaves paper residue on your nail. That's okay. I moistened my finger with water and rubbed it off. I was worried about rubbing the design off but that didn't happen. Now here is the part I didn't do - instead of using plain water to rub the paper off - brush a little of the transfer solution on the nail and rub it to take the residue off. I thought I had all the paper remnants off but you can still see a bit of them in the photos. Gotta love those zoom lenses - they get every detail! I will try again soon and experiment with that tip. Apply a top coat and you're finished! Removal is just the same as removing polish. I really thought there would be more of a mess on my cuticles and fingers when I removed the sheet. But it didn't leave much of a mess behind at all. What do you think? 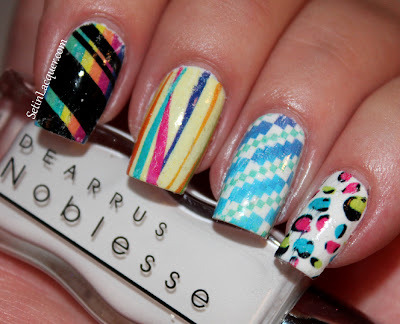 These seem great for adding an accent nail in a flash! These will be available on the Llarowe website. Follow Llarowe on Facebook to get information on new releases and launches. Dear Rus - Glitter bombs! I have some new-to-me polishes for you today - Dear Rus. These are the Noblesse Glitter polishes. I shared the matte polishes with you yesterday. Today I have the glitter polishes for you. 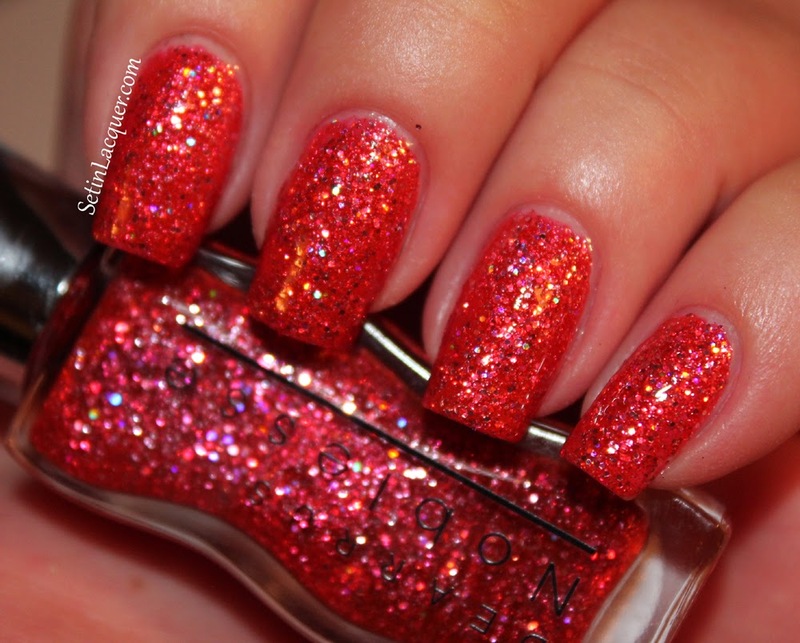 These glitter polishes are gorgeous and apply easily. They are true glitter bombs! 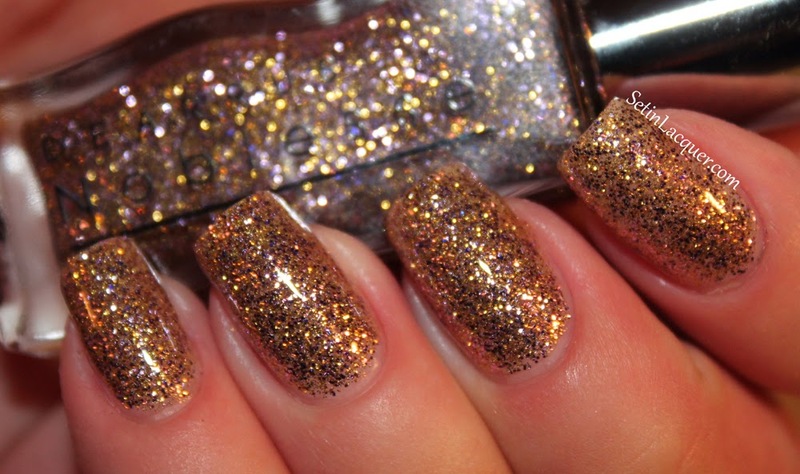 The first one I am sharing from the Noblesse collection is a gold glitter with a rosy hue to it. I couldn't really find the name as the writing is Korean. I will update this post as soon as I can with the name. 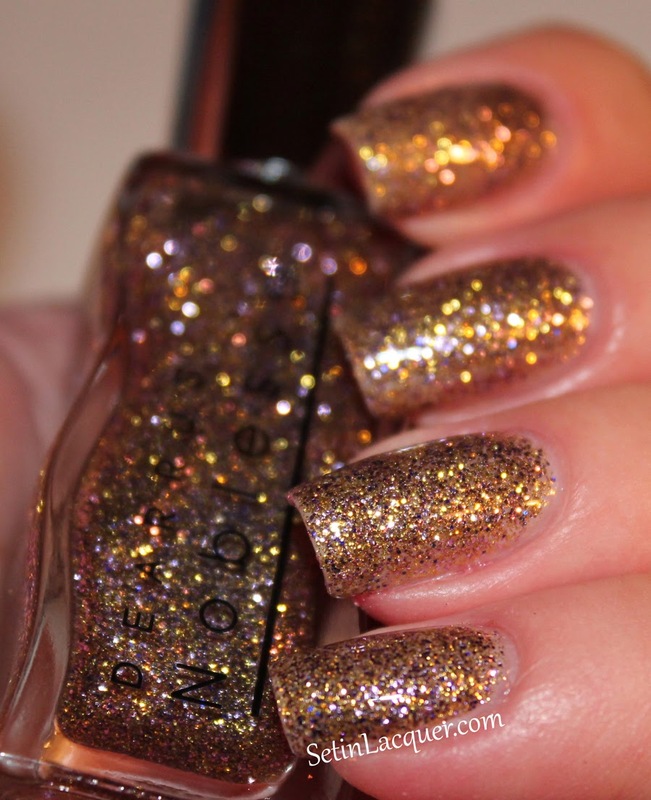 The golden and rose shimmer in this one is gorgeous! 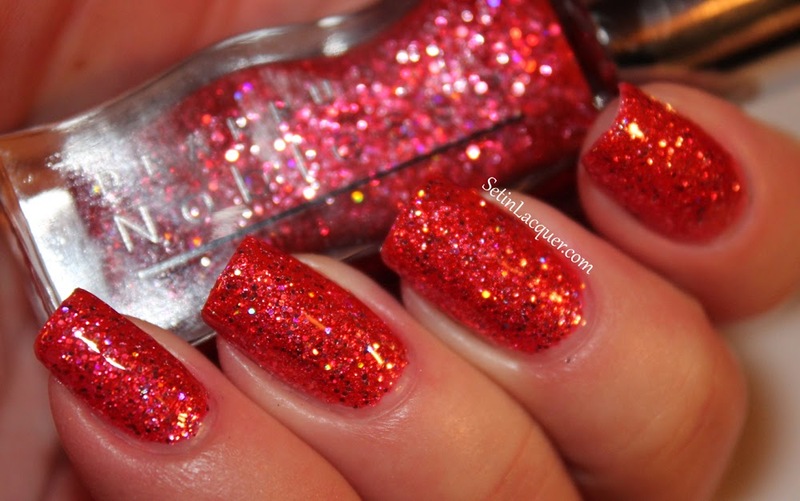 Stone Glitter 8 - is a vivid red polish with lots of glitter. This is three coats on it's own. If you like glitter bombs I know you will love these! These will be available on the Llarowe website soon so keep your eyes open. Follow Llarowe on Facebook to get information on new releases and launches. I have some new-to-me polishes for you today - Dear Rus. Today I am going to share the matte polishes with you. These polishes applied well. The first coat was a little streaky but I never expect much from the first coat of polish. The matte finish is actually quite classy. Not too matte and not too shiny. The dry time was relatively quick. This is always important to me as I love the quick dry top coats, which of course I can't use with a matte polish. 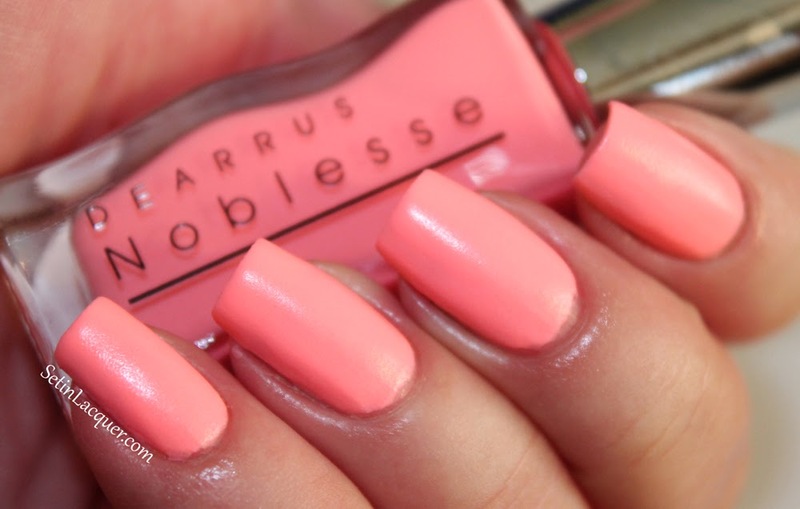 New Matte 01 - is a gorgeous peach infused shade. This is three coats. It actually applied relatively smooth for a light matte color. 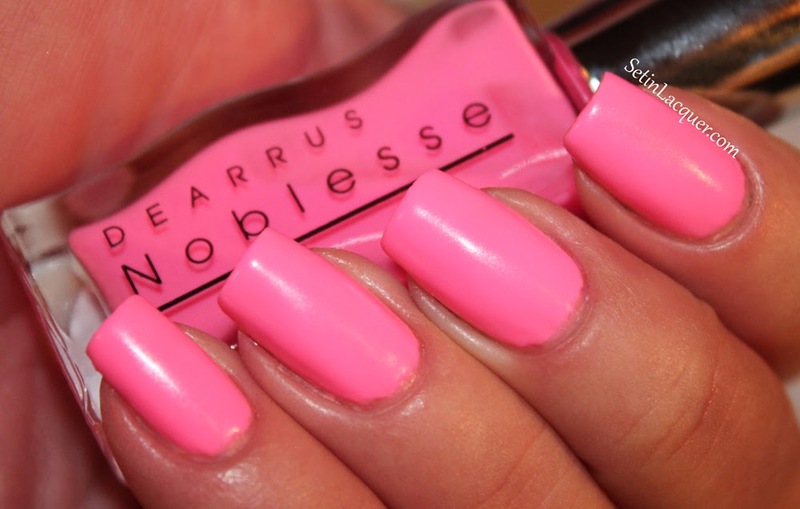 I like this shade! If you like matte polishes I know you will love these!